From January 1, 2014, property sold within the initial 3 years of acquisition will go through higher Capital gains tax of 30%. This is an increase from the 15% for property disposed of within the first two years under Budget 2013 and the 10% for residential property disposed of between the 3rd to 5th year. For Foreigner, they will faced a 30% Real Property Gain Tax of 30% if property dispose off within 1st-5th year and 5% from 6th years onward. In addition, foreigners can only buy properties valued at RM1 million and above. Currently, all Medini projects have been exempted, prior to all these announcements, from property tax for first buyers, and are also exempted from minimum threshold from foreign investments. 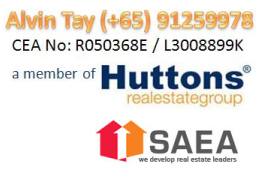 "These exemption will be extended and most likely push investor to Iskandar Medini" said Zhuoyan Iskandar's(a joint venture company backed by Chinese property developer Zhuoda Group and Malaysia's Iskandar Investment Berhad) sales & marketing director, Liang Thow Ming. With this exemption, Medini price will increase and likewise, Puteri Harbour will appreciated more due to it's unbeatable "Sea/Harbour View" and "Freehold status" as compare to Medini. Johor weekend holidays will changed to Friday and Saturday. However, banks will get the exemption. Bank will continue to operate on Saturday & Sunday.